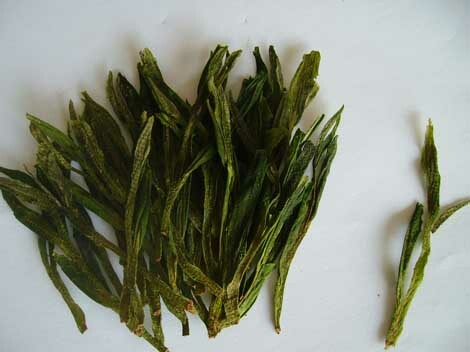 Taiping Houkui, or Monkey Picked Tea produced in Xinming Town, Huangshan City, is the crown of famous Chinese teas and one of the Top Ten Famous Teas in China. 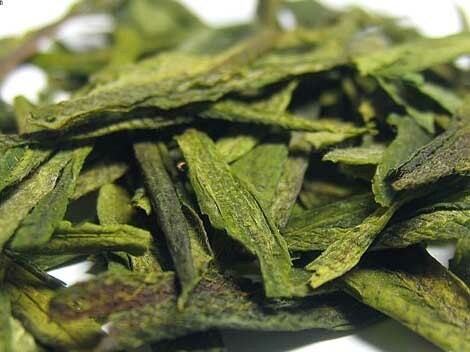 With two leaves and a bud, the tea is flat and straight in shape covered by obscure white down. The tea leaves assume smooth dark green color on the face and light green on the back, with reddish green in the veins. When brewed, the tea leaves, suspended or sunken, free themselves in the clear tender green water, like many a monkey vigorously stretching their neck and tails and playing with you. 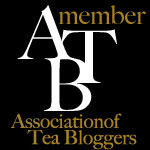 The tea tastes fresh, mellow and sweet and smells a long-lasting refreshing aroma. The crystal clear green tea water can provide you a tasty and refreshing experience feasting your throat, eyes and spirit.